There was a time when starting a manufacturing business was relatively risk-free. With technology giants reshaping the B2C customer experience, B2B buyers are also looking for agility, rapid order cycles, and competitive pricing. This is happening mainly due to technology changing at an exponential rate. The rapid technological advancements and growing customer expectations demand from business to stay up to date or to be at the forefront of change in order to stay ahead of the competition and achieve sustainable growth. Industrial automation continues to help the modern manufacturing business achieve high levels of productivity through scalable automation solutions. From the internet of things (IoT) to artificial intelligence, industrial technology is ever-evolving. As a progressive business owner, you have to be receptive and adaptive to change, however challenging it may be. In the manufacturing industry, automation technology is no more an option but a necessity. Shop floor automation has been transformed dramatically over the past few years. The use of industrial robotics, M2M technologies, smart sensors and QC systems does not require huge resources. This is the reason why small and family-owned businesses can afford to implement automation technologies to their production processes. Being a manufacturer, you have the freedom to choose from a broad range of enterprise solutions from basic sensors and QC systems to complicated welding robots and material handling equipment. Automation is about exploring the new opportunities to grow a business. It allows your employees to generate big ideas from new information and innovative way of looking at the existing infrastructure. For example, adding an automated welding system to your existing infrastructure will help you understand the effectiveness of smart machines and how you can further modernize your shop floor with better automation solutions. Data collection and processing is another critical aspect of today’s manufacturing environment. Automated data collection coupled with efficient reporting tools can magnify the impact of your conventional production assets. A smart way of collecting data and generating applicable insights not only reduce labor costs but also help identify operational deficiencies. For manufacturers looking to drive productivity, improve the bottom line, and cut costs, industrial automation is the right platform for them. Innovative technologies such as robotics, automated welding systems, sensors, measurement and QC devices, etc. will surely give manufacturers the competitive edge they are looking for and capabilities to meet growing demand for precision, speed, and efficiency. 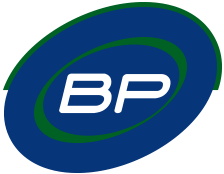 BP Automation is an engineering company in Canada where we design and build mechanical hardware, industrial software, and electronic control systems for a range of customer applications. Our product research and prototype development process is designed to build successful machines. From improving the existing infrastructure to building new automation solutions, our focus is to help our clients stay ahead of the competition in a profitable way. Feel free to discuss your project with us!